Regular readers and lurkers have already figured out that I am a Pro Angler for Diablo Paddlesports out of Austin, Texas. 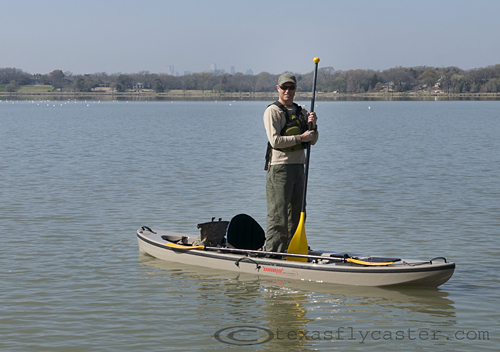 I’ve been excited about the Diablo line of kayaks since taking one out on a test ride with Thomas Flemmons of Diablo last year on Dallas’ White Rock Lake. 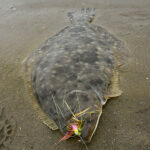 It didn’t take long to realize Diablo is onto something exciting and unique to the kayak fishing industry. The Diablo kayaks are a new breed of boat that hybridizes the standard sit on top (SOT) kayak and the newly popular paddle board movement. Paddle boards, in and of themselves, are limited in their use and appeal while kayaks have been enjoying rising popularity among fishers for a number of years. 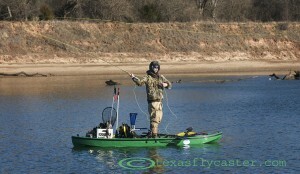 Several attempts have been made to increase the appeal of kayaks by making them easy to stand on while fishing – to increase visibility when stalking, and make it easier to cast. The SUP Diablo, or Stand-Up Paddling kayak bridges the two, creating a stable platform for sit down or standup paddling and flats poling. For the big boys in the crowd, the Adios is rated at a whopping 400 pound payload on a 12.5 foot kayak. Casting a fly rod is complex enough, and add sitting in a kayak to do so … was until now, a recipe for frustration and somewhat like balancing a marble on top of a marble. There just aren’t many fly fishers who have chosen kayaks because of the instability issues in traditional kayaks. And the kayaks that promote themselves as a standing caster’s platform take on all kinds of strange forms, gadgetry and pretzel logic to accomplish what Diablo accomplishes through clean, efficient design. My first reaction to paddling a Diablo was a huge smile because I knew I was onto something special and potentially revolutionary. There’s now even a Texas Fly Caster page dedicated to information on Diablo and what they look like under construction and on the water. There’s a whole lot of new technology and design packed into the Diablo, so feel free to fill out the contact form, and I will send you more information and even arrange a demo paddle at a pond near you. 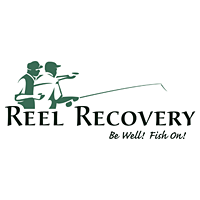 And if you are part of the Texas Kayak Fishing Forum, you know there’s a fishing tournament next weekend at Lake Ray Roberts – Isle DuBois Park. I will be there on Saturday, the 16th. 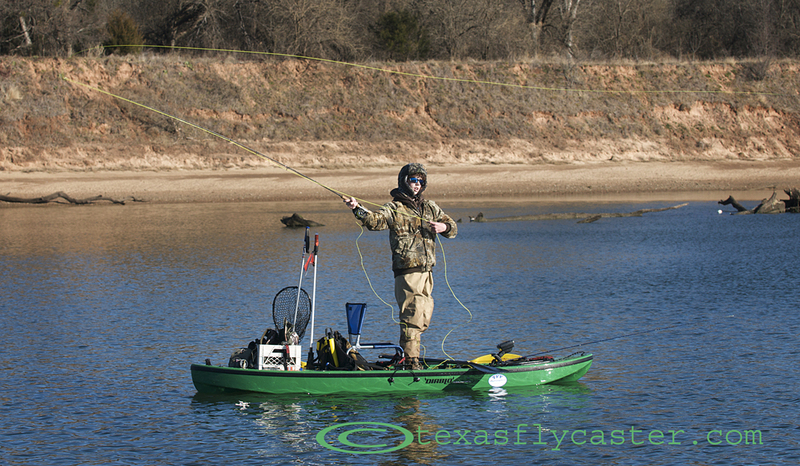 of April – hoping to fish and demo these great boats – the Adios and Chupa Cabra.